We are a small, thriving village school on the edge of the beautiful Golden Valley. 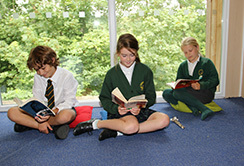 Our children enjoy a rich and creative curriculum and are supported and challenged to achieve their full potential within a safe and Christian atmosphere. With small classes, our very experienced staff have high expectations of children's learning and behaviour; through observing Christian values our children go on to Secondary education as kind, polite and respectful members of the community and as confident and enthusiastic learners. 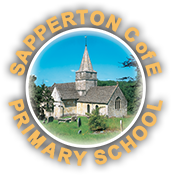 Discover what it's like to be at Sapperton Primary School! Thank you to everyone who attended our Harvest service on Friday. The sale of bacon butties raised £49 and the Macmillan coffee morning raised £70.